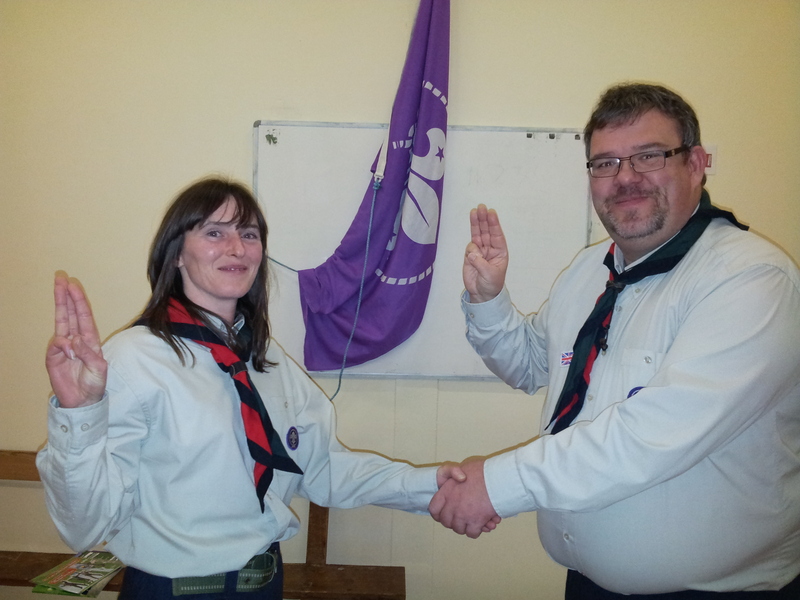 This week it wasn’t just the Cubs welcomed into the scouting family, Anne (Bagheera) who has been helping Jonny (Akela) as the the Assistant Cub Leader also recited the Scout Law and Promise and was formally Invested by Kevin, the Group Scout Leader at the Cubs Investiture ceremony. Anne has also helped out with the Beavers section. 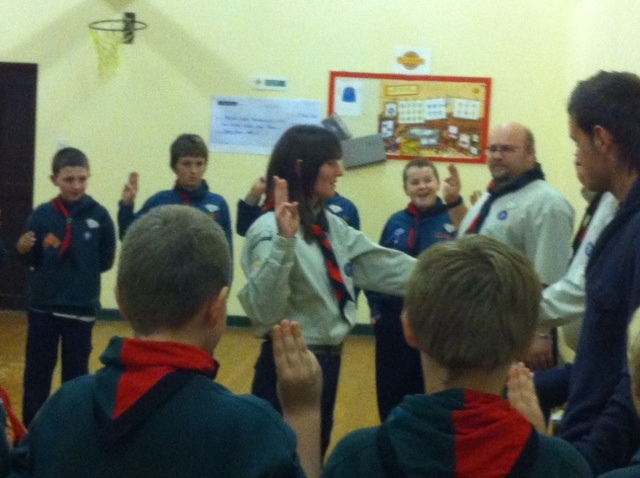 The group congratulates Anne on what is bound to be only the start of her Scouting journey. Well done!